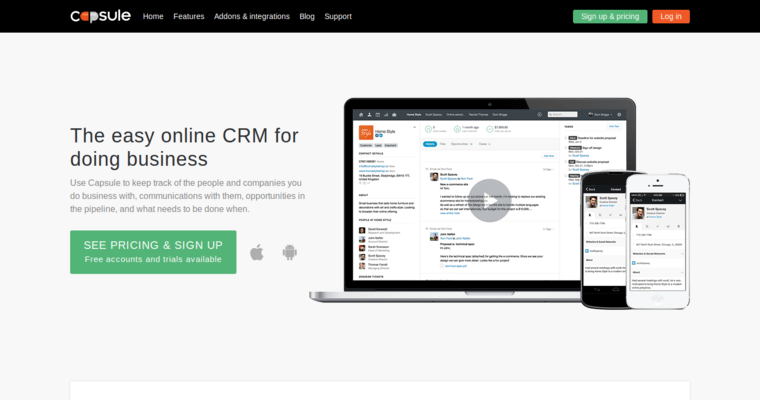 Capsule is a sales-management oriented CRM platform featuring a clean interface. Capsule offers the simple core functionality a sales manager requires, including capturing, analyzing, organizing, and assigning leads, allocating tasks to team members, and tracking communications with customers and prospects. An added capability is a ticketing system that tracks customer inquiries as open issues until resolved. 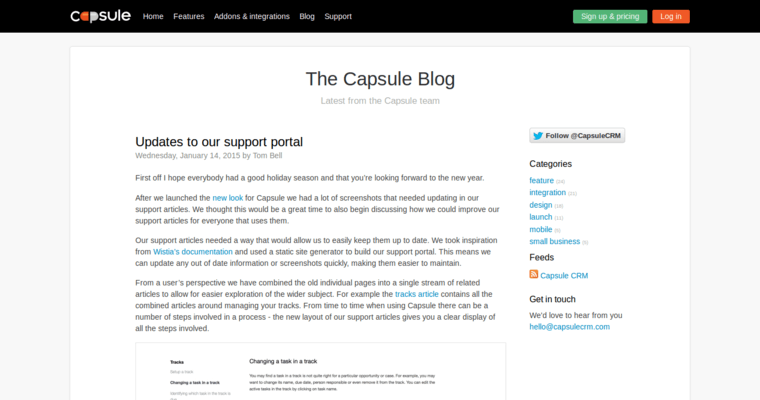 Capsule also will scan social media and append platforms to customer records. Smartphone versions operate on both iOS and Android. Training is offered through documentation, but technical support is available online during business hours. 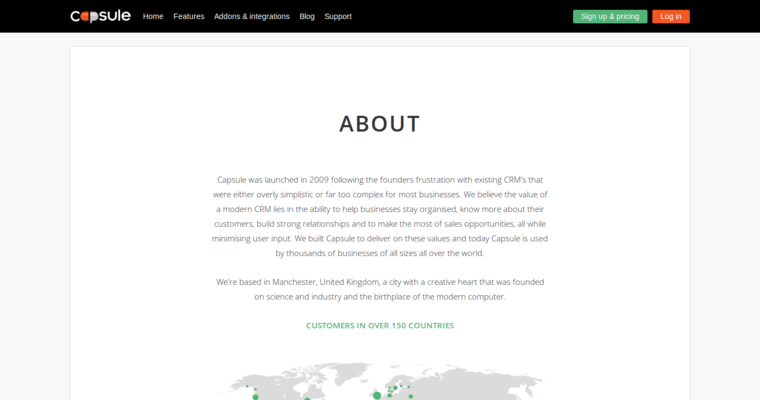 Capsule allows up to 250 contacts and two users for free, while the paid plan ($10/user/month) supports up to 50,000 contacts and integration with third-party applications like Google’s G-Suite and MailChimp.